Pregnancy hormones effect nearly every part of the body, especially the skin. Increased sensitivity and fluid retention are two of the more common complaints women have during pregnancy. Melasma, or red, splotchy skin, is often referred to as cloasma, or the pregnancy mask. While some women suffer from very few melasma changes, others see drastic changes as the pregnancy progresses. While dermabrasion and microdermabrasion are effective treatments of melasma, they are not considered safe to use during pregnancy. The increased sensitivity of the skin alone during pregnancy can lead to irritation, breakouts and uneven results. As well, with the body paying full attention to the growing fetus, recovery time could also be far longer for pregnant women. Melasma, associated with pregnancy hormones, may continue until hormones return to a more normal level which, unfortunately, does not happen until months after giving birth. If dermabrasion or microdermabrasion are performed while hormone levels are high, the effect will be minimal or last only a short while; pregnancy related melasma will return. 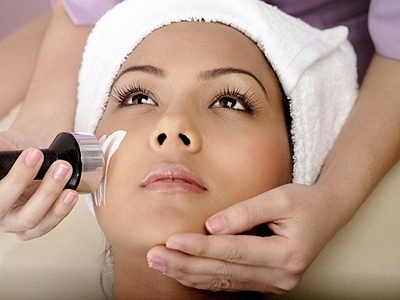 Further, dermabrasion and microdermabrasion require the use of before and after skin products which may not be suitable for women with increased skin sensitivity. Dermabrasion and microdermabrasion involve scraping the uppermost layers of the skin by using a brush that is made of wire. Due to the increased sensitivity and immune response while pregnant, women who are expecting may be at increased risk for skin infections. Reducing the risk of infection of any kind during pregnancy is important to the health of both mom and her baby. Home dermabrasion and microdermabrasion kits are created for use by women who are not pregnant. While the home kit will not affect the skin as much as office based treatments, there still remains the chance of breakouts and irritation. And, depending on the ingredients used in the home dermabrasion and microdermabrasion kit, some chemicals may be considered unsafe for use by pregnant women.